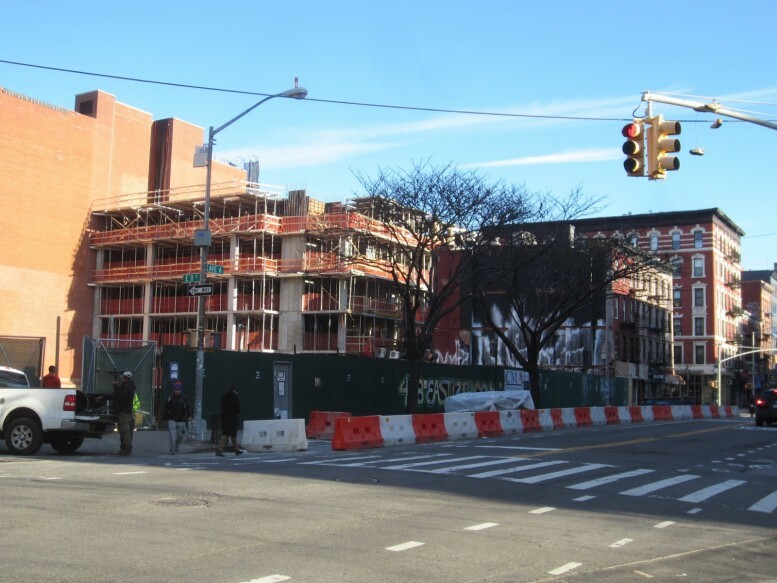 Last month, new renderings surfaced of the six-story, 82-unit mixed-use building under development at 438 East 12th Street, in the East Village, and now EV Grieve reports the East 12th Street-facing side of the structure is five stories above street level. 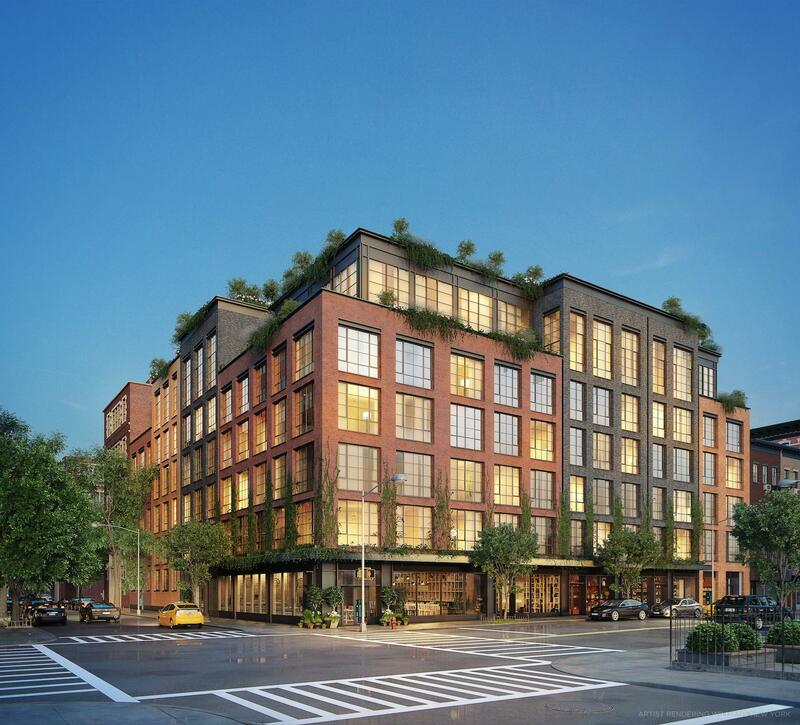 The 151,943-square-foot project will eventually grow to reach the corner of East 11th Street and Avenue A. As reported, there will be 8,376 and 961 square feet of ground-floor retail and medical office space, and its 82 condominium units should average 1,315 square feet apiece. The varying unit configurations and amenities are listed in our previous post. Douglas Steiner is the developer, Perkins Eastman affiliate S9 Architecture is the design architect, and Paris Forino is designing the interiors. Completion is expected in 2017.